Excellent service, great range. Will buy more. I like the selection of products online, and the prices are reasonable. Delivery was very efficient. The footwear size I ordered was too large, so I ordered a smaller size by phone, and the customer service was excellent. I went back the larger pair and was instantly reimbursed. I'm very happy with the boots and will order again. I had issues with confirming my credit card details, however the assistance I received to complete my order was 1st rate. My only issue was cost, however, t hat was related more to poor conversion rates than pricing. Overall, very happy with both my purchase, and shopping experience. 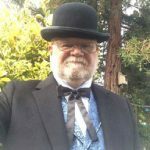 I ordered the 1899 superior court judge's outfit two years ago and wanted to add another period shirt, tie, vest and tie pin. Your company did a good job for me before and I wanted to reward that excellent customer service with another order. They are excellent quality. Glad I spent the money. Very good customer service. Item arrived fast. I am very happy with my order. Thank you. I had a great experience shopping with Gentleman's Emporium! I had a question t hat was quickly answered, and when I decided I wanted a smaller size item, returning was easy! I will definitely be doing business here again in the future! No complaints here. I got w hat I paid for. I'm happy! Very good service. Fast delivery via postal service. Their customer service was fantastic! I received goods so quickly, and they noticed I submitted two orders on the same day, so they credited me on shipping! Loved the quality! The large sizes were just a little larger than I expected but easy to take in. Washing didn't shrink them much. Well worth the money!! The order was divided into two and both halves came much faster than I anticipated. I ordered 6 vests and men's ascot's The sizing was true to size, from SM to 3x the colors and material were as described and as they looked on-line. I had to trade some sizes and the staff went the extra mile to check returns and see if a size I needed was available just not yet re-stocked! Everything was great and the prices were reasonable. Shipping was supper fast!. The vests did not have a full collar (stopped at the apex of the shoulder). You would NEVER notice under a suit jacket - but our groomsmen were dressed without a jacket so - in a perfect world, would have liked the full collar. That said, with everything that was right and great about this order, I would stick with this company and vests - GREAT staff, Supper helpful, and no surprises on the material order. Thanks ladies, you made the grooms part of the wedding easy and classy!!!! I dealt with a very competent lady in customer service. She was professional, polite and efficient. Would t hat every customer service agent were so. I was very pleased with my purchase of detachable collars. High quality item, ease of purchase and fast delivery. You could not want anything more. Thanks. WONDERFUL Customer Service! Simply cannot sing their praise loud enough! These suspenders arrived amazingly quickly. They are very well made, and are adjustable to fit nearly anyone. They were a gift, and the recipient put them on right away. They look just smashing.